DLS~ 25L Tuesday – Two things! | .:Soul:. DLS~ 25L Tuesday – Two things! Both are 100% Original MESH! 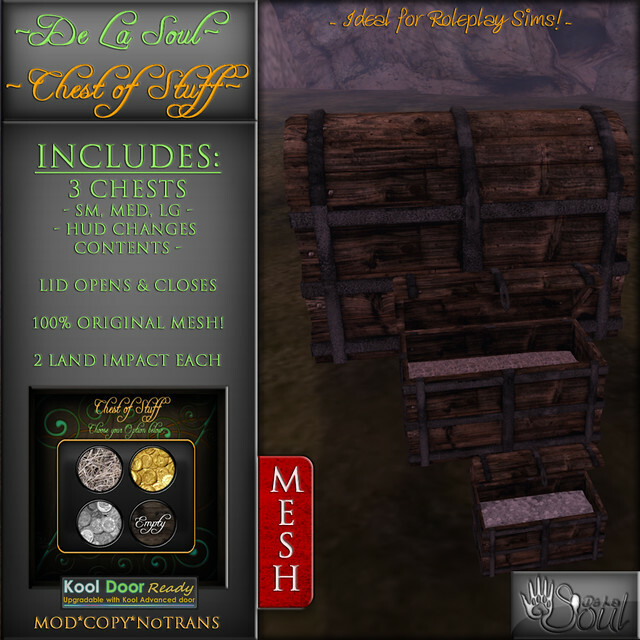 The Chest of Stuff – 150L after Tuesday! With it comes the chest in three sizes along with a HUD to change the contents from Straw, Gold Coins, Silver Coins, and Empty. KOOL Door Ready! If you have this system, you can make them lock-able and pick-able! Info is included in the instructions on this matter. 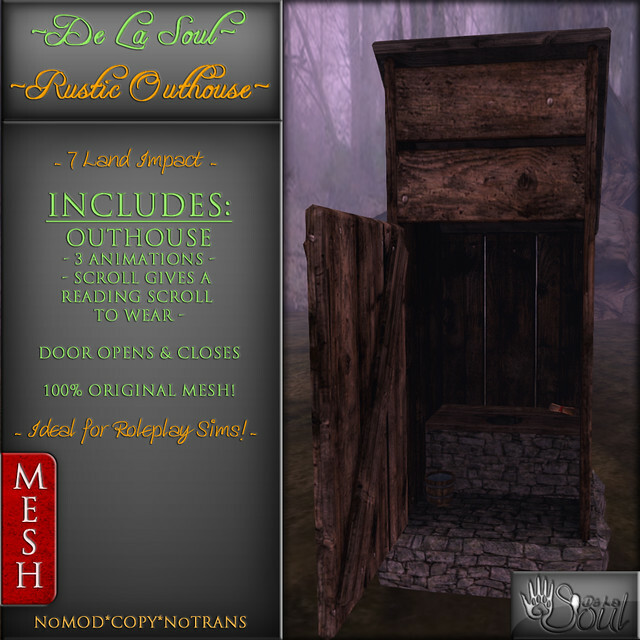 The Rustic Outhouse – 150L after Tuesday! Three animations to choose from. Sitting (Girls), Reading, and Standing (Guys). The scroll on the side of the seat gives you a wearable scroll for the reading animation. This entry was posted in Buildings & Decor, New Releases. Bookmark the permalink. ← DLS~ Buildings, Hat Lamps, and a Gyspy Too!